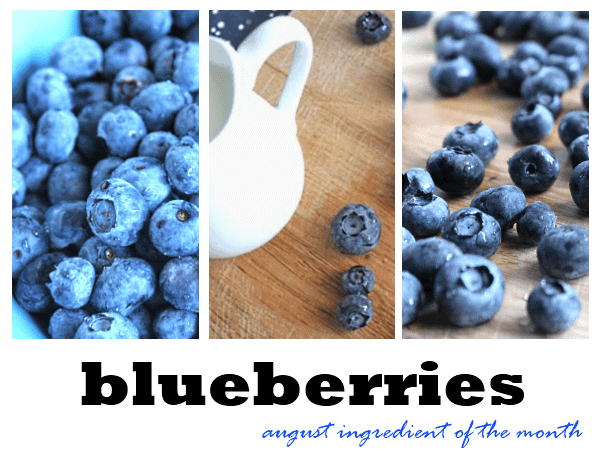 So if you happened to miss it, earlier this week I announced that I have chosen blueberries to be featured as August’s Ingredient of the Month here on Happy Food, Healthy Life. I filled you in already on the health benefits of adding blueberries to your daily intake, and throughout the month I will help you out with a few recipes that will feature this antioxidant packed gem. 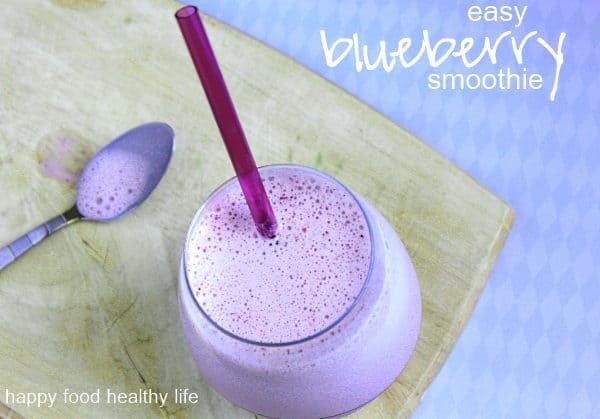 Today, I’m excited to share one of the easiest blueberry “recipes” out there. I’m hesitant to even call it a recipe because of how simple it is. This is what happened though. I ran a 5k this morning. Which means I was up at 5:00 am to start my pre-race routine. What this means for the rest of my day: I’m tired and pretty much useless when it comes to doing anything productive. So I needed quick and really easy. I needed something throw-in-the-blender-without-any-prep easy. There was no chopping. No hulling. Nothing. Another factor for food on race day is that I have a very sensitive stomach, and it’s sensitivity is definitely heightened after a race for some reason. While everyone was ordering a heart attack on a plate the Lumberjack Platter at breakfast after the race, I stuck to a blueberry muffin and a side of scrambled eggs to go with my coffee. And for the afternoon, I’m going to take it easy since my stomach’s a little rumbly. 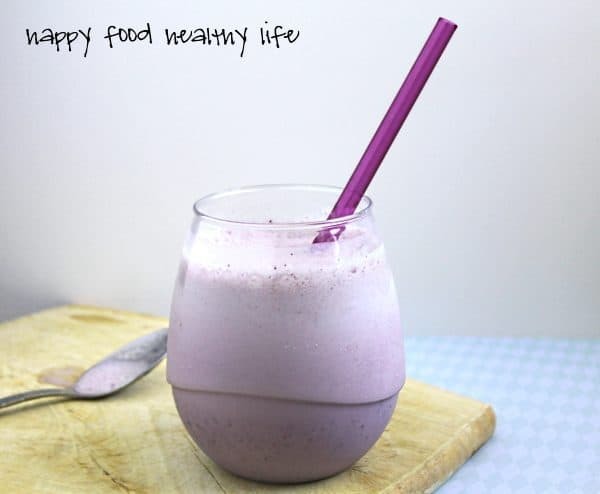 Right now, I have a blueberry smoothie setting up in the freezer (because I would rather eat my smoothies like ice cream with a spoon) that I’m hoping will be easy on my tummy as my body recovers. Want to try it out yourself? Check it out! Simply throw all ingredients in a blender. Mix until all is blended. If you prefer a more icy smoothie, toss in a few ice cubes. I put this in the freezer for a couple hours to set up, so I can eat it with a spoon. Completely up to you. See! I told you… siiii-mple. Can’t wait for my afternoon snack. I hope your weekend is fun/relaxing/enjoyable/whatever you want it to be! Thanks, it was the perfect size for my little smoothie! Aurelia, I completely agree with the blueberry thing. They are not my favorite, but they’re super good for you, so I just make it happen the best I can… for example, this delicious smoothie! !